Use Your Kroger Card to Support BTB! The Kroger Community Rewards® Fundraising Program for Beyond The Backyard is an easy way to support BTB each time you do your regular shopping! If you haven’t signed up, you may do so via the link below. 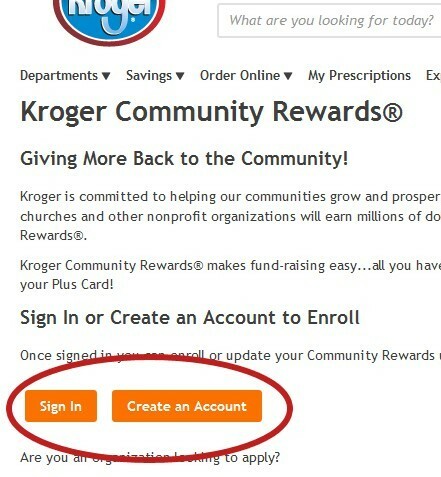 You can sign up to attach your Kroger card to Beyond The Backyard. Once you register on your Kroger account, BTB will receive a percentage of what you spend at Kroger each time. Kroger is committed to helping our communities grow and prosper. Year after year, local schools, churches and other nonprofit organizations earn millions of dollars through Kroger Community Rewards®. Update your Community Rewards under your Account Settings. 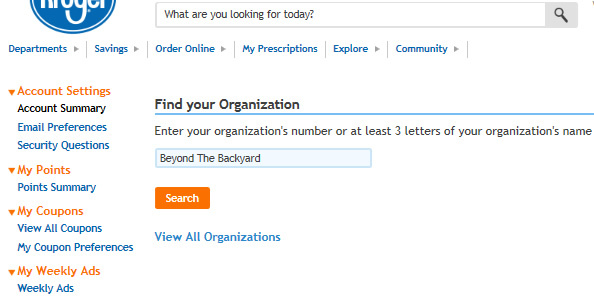 Search for Beyond The Backyard, and select it to complete enrollment.